This level has hard difficulty and you need to ply with good strategy to break colorbomb with balancing the Odus owl to complete this level. 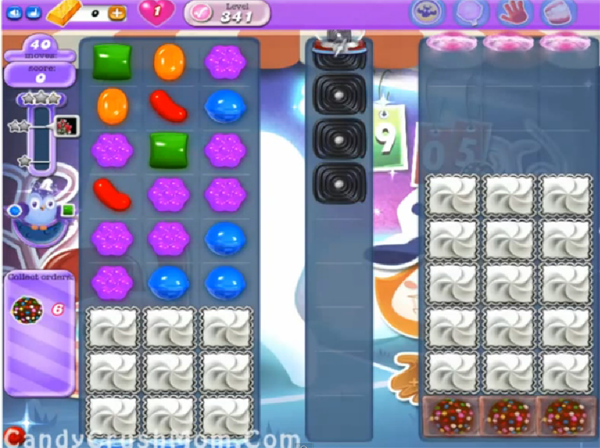 For this level you need to play on left bottom part of the board to make board to have more candies and then make special candy anywhere you get chance. After Try to make as much colorbomb and wait till moon struck and you might get colorbomb automatically if you have luck and complete this level. We completed this level with 43700 using same trick that we share above and luckily got six colorbomb with single star score.